Box CEO Aaron Levie says he doesn’t like it when his 1,400 employees use technologies that the company hasn’t standardized on, a rich irony considering the collaboration software maker spent its formative years ducking and dodging CIOs on its way into corporations. It was a frank admission from a CEO whose company has perhaps become the poster-child for shadow IT, the phenomenon in which employees or business units purchase software and devices without the consent of IT. From a panel discussion at this week's Technology Business Management Conference are, from left to right, moderator Matt McIlwain, managing director, Madrona Venture Group; Concur Technologies CEO Steve Singh; Box CEO Aaron Levie and Apptio CEO Sunny Gupta. “I’m like the biggest anti-shadow IT person at the company,” Levie said at the Technology Business Management Conference here Tuesday. “I hate when people bring in their own applications.” He told the audience -- comprised mostly of CIOs from large companies such as Hewlett-Packard, Aon and Verizon -- that he didn’t want corporate data shared in platforms that weren’t approved for use at the company. The theme of the panel, which also included Apptio CEO Sunny Gupta, Concur Technologies CEO Steve Singh, centered on how the CIO’s role has become crucial in using business technology to support and even drive corporate strategy. Traditionally, a position dedicated to managing back-office systems and desktops, the CIO role has become more strategic as technology increasingly permeates the business. CEOs and corporate boards are looking to CIOs for innovation through technology. 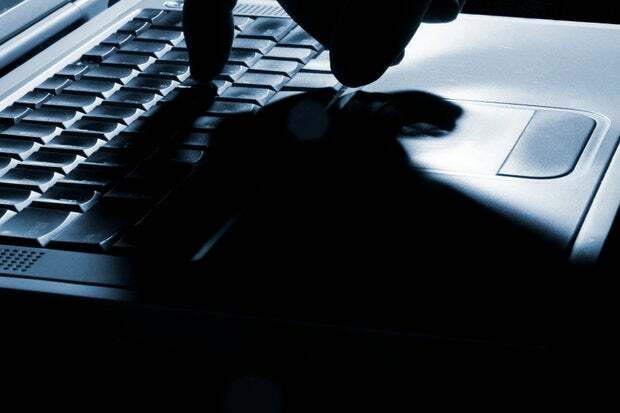 Yet CIOs must also protect their corporate assets by evaluating the business risk of shadow IT solutions. Risk-averse CIO weren’t always so interested in emerging technologies and often favored software from incumbents over startups. Levie said that until around 2009 CIOs largely declined to work with Box because they didn’t see the value in hosting corporate files in someone else’s cloud when they already had Microsoft SharePoint or products from EMC and other vendors. He tried to convince them that the rise of mobile devices such as the iPhone and the iPad, as well as the enrichment of browsers to support software on any device, would enable employees to collaborate with each other from anywhere. CIOs didn’t get it, or chose not to, so Box initially circumvented CIOs, taking the product to departmental line of business managers. And when the software went viral, seeping its way into other parts of the business, Levie and his sales team would call the CIO and tell them. That angered CIOs, who often blocked Box. So Box ceased calling IT departments, quietly building up its technology features and bolstering security to make the software more palatable for enterprises. Now a mature, public company itself, Box counts General Electric, AstraZeneca, Proctor & Gamble and others among its customers. “I feel your pain now, I understand why you blocked us for so long,” Levie told the audience. He also says IT has come a long way in its willingness to embrace new technologies, particularly cloud and mobile services that employees prefer to use to communicate, collaborate and conduct their work. He estimates that roughly 80 percent of the conversations Box engages in with prospective customers are conducted with the IT department. While Box may be tunneling its way into the mainstream enterprise, Gartner predicts that IT spending will increasingly occur outside the consolidated IT budget, as CIOs struggle to keep up with the pace and demand of emerging technologies. Blocking those tools is not only futile but a waste of valuable talent in the workforce, Gartner analyst Matt Cain said in an August research note: "Shadow IT investments often exceed 30 percent of total IT spend," Cain says. "This will only increase because demand for new apps and services to pursue digital opportunities outstrips the capacity of IT to provide them. At the same time, cloud services will mature and employee demographics will shift to increasingly technically savvy employees frustrated by the pace of traditional IT, and with the skills to find their own IT solutions." CIOs, Cain says, should partner with business units and craft a framework that outlines when it is appropriate for individuals to use their own technology solutions and when IT should take the lead.